The four channel coil driver module is used to drive a two wire "dumb" ignition coil. Such coils are typically used on Ford Modular and late model Chrysler HEMI engines. Holley EFI ECUs require this coil driver module when running two wire "dumb" coils. Each module can drive four coils, so two are required for an eight cylinder engine that uses eight coils. 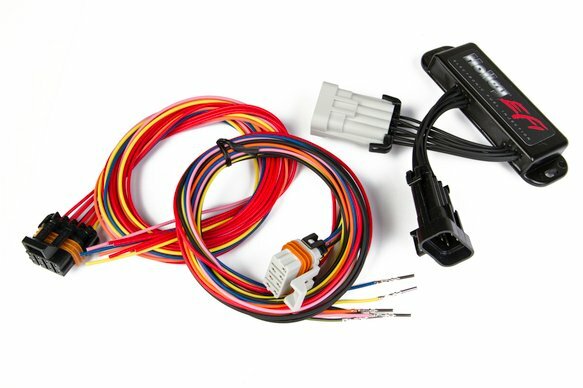 Included is the coil driver module, an input harness with pins that can be connected directly into the HP or Dominator ECU, and an output harness with pigtail ends. The user must connect these to their specific coils.